Engineering students at Indian Institute of Technology Roorkee have developed a mobile app that can help farmers practice precision agriculture, particularly in application of precise amount of fertilisers. By determining health of the crops using hyperspectral imaging of crop leaves, the app could help in rational use of fertilisers. The app has won IIT Roorkee students the Ericsson Innovation Award 2017. Over 900 teams from 75 countries participated in the global contest for developing innovative ICT ideas on the theme of ‘Future of Food’. 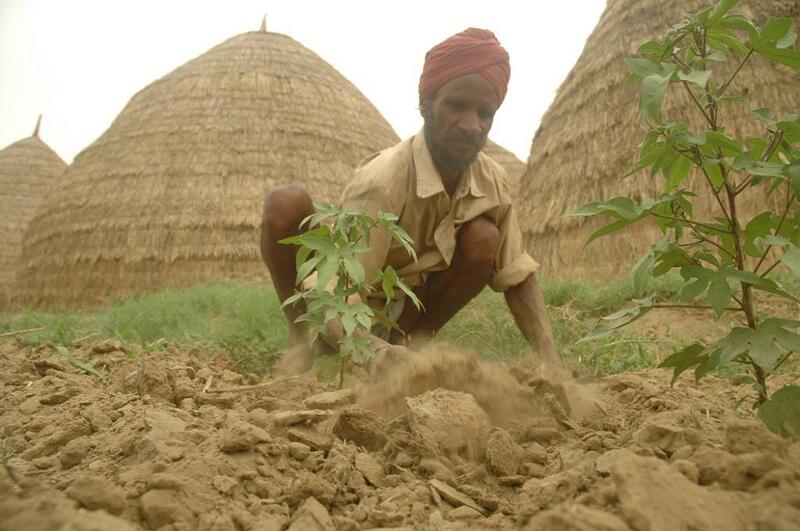 Farmers apply fertilisers based on their experience rather than any rational input. Therefore, if they chose not to apply, perhaps they may be taking a risk and suffer economic losses. On the other hand, excessive application spoils the soil and damages the environment. “If only the farmers can know the health status of the plant, then they can make a more rational choice. The app developed by our students would be handy to the farmers. They would be able to know if the crops need fertilisers or not in just in a snap,” says Prof Ajit Kumar Chaturvedi, Director, IIT Roorkee. Named SNAP, the app uses a precision agriculture technology to determine the optimum fertiliser inputs for the crop. It works on the principle of hyperspectral imaging of plant leaves. Spectral lines are like fingerprints that indicate presence or absence of a chemical by studying the light reflected by the leaf. Hyperspectral imaging combines conventional spectroscopy with imaging techniques to acquire spectral and spatial information simultaneously for detecting physical, chemical and biological attributes of the samples. When sunlight falls on a leaf, the reflected visible light and the near-infrared rays contain specific signals that tell about its chemical constituents. Water content, amount of macronutrients such as nitrogen (N), phosphorus (P), potassium (K), magnesium (Mg), calcium (Ca), as well as micronutrients such as sulphur (S), sodium (Na), iron (Fe), manganese (Mn), boron (B), copper (Cu), and zinc (Zn) and so on can be effectively measured using the hyperspectral imaging technology. “The app uses mobile phone camera as the imaging device and hence could be profusely used in the field by the farmers,” pointed out Prof Chaturvedi. The award winning team included Ekdeep Lubana, Anisha Godha Ankit Bagaria and Utkarsh Saxena with diverse expertise in electronics and communication, chemical and metallurgy. After an intense global competition, the team was one of the three global finalists to compete at Noble Museum in Stockholm, Sweden. 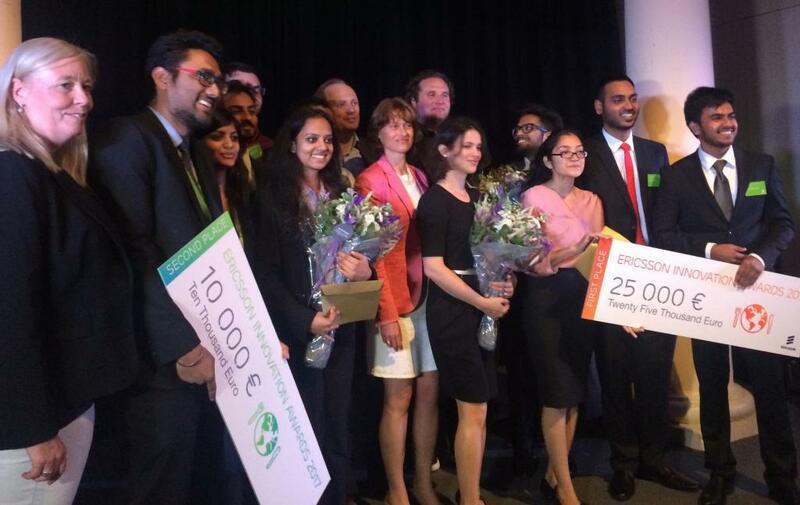 The low-cost handheld imaging device for optimising fertiliser use in agricultural was declared the global winner and the team were awarded 25,000 Euro. The jury was chaired by Sara Mazur, Head of Ericsson Research, and had Caleb Harper, MIT Media Lab, Dr Catherine Mulligan, Imperial College London, Mattias Fyrenius, CEO Nobel Media, and Johan Jörgensen, Founder Stockholm FoodTech as members.